When you hear the word “starch,” what are the first thoughts that come to mind? Carbs. Glucose. Blood sugar spikes. High insulin levels. Post-workout glycogen resynthesis. While some of that is true, it’s time to think outside the box and explore the world of resistant starch (RS) and its many health benefits. What is Resistant Starch? Resistant starch is a type of starch that is not digested in the stomach or small intestines, and reaches the large intestine or colon intact. It “resists” digestion. As a result, there is no spike in blood sugar or insulin levels after eating foods high in resistant starch. We also absorb fewer calories from these foods. RS Type 1: The starch is physically inaccessible because it is bound within the cell walls of the plant. Foods that contain this type include seeds, grains and legumes. RS Type 2: This type of starch has a high amylase content, which is indigestible in the raw state. Foods that contain this type of resistant starch include potatoes, green (unripe) bananas and plantains. Cooking these foods makes the starch digestible. RS Type 3: This type of starch is also known as “retrograde” resistant starch. It forms after Type 1 and Type 2 foods are cooked and cooled. Foods that contain this type include cooked and cooled parboiled rice, cooked and cooled potatoes, cooked and cooled (soaked or sprouted) legumes. Once the resistant starch reaches the intestine, the bacteria attach to and digest or ferment the starch. There is ample research that shows that the health of the microbiome (i.e., your gut flora), impacts the health of your body and brain. There are trillions of bacteria living in your body, which actually make up three to five pounds of body weight. Some of these bacteria are good and some are bad. It is important to nourish the good bacteria so that they make up the majority of the microbiome. The good bacteria are known as probiotics and their preferred source of fuel is prebiotics. Resistant starch is one type of prebiotic, and it selectively chooses the probiotics to feed. Once the bacteria digest the resistant starch, it produces short-chain fatty acids (SCFAs) through fermentation. Of these SCFAs, butyrate is the most significant. Butyrate it the preferred source of fuel for the cells lining the colon. It also plays roles in metabolism, inflammation and cardiovascular disease. Resistant starch appears to increase butyrate production more than other soluble fibers. The SCFAs that are produced by the bacteria via fermentation fuel the colonic cells and promote increased blood flow in the colon, increase tone and reverse atrophy associated with low-fiber diets. Butyrate, in particular, is associated with decreased risk of colon cancer by affecting gene expression and inducing apoptosis, or normal cell death. The SCFAs also lower the pH of feces, which is also associated with decreased risk of colon cancer. Butyrate is also used as a treatment for colitis. Insulin resistance and chronically elevated blood sugar levels can lead to metabolic syndrome and type 2 diabetes. Resistant starch can play a role in blood sugar control and improving insulin sensitivity. One study showed that overweight or obese men (but not women) demonstrated improvements in insulin sensitivity after consuming 15 to 30 grams of resistant starch per day for four weeks. Resistant starch also has a “second meal effect.” This means that resistant starch not only helps with blood sugar and insulin at the present meal, but also impacts the next meal by keeping blood sugar and insulin response lower. Emerging research shows promise for using resistant starch in weight control. 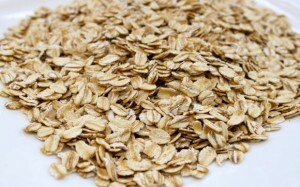 It has long been advised to promote the intake of high-fiber foods for satiety and weight control. Studies that compare different types of fiber indicate that resistant starch promotes the best satiety and decreased food intake, which will result in reduced overall calorie intake. As mentioned earlier, resistant starch is found in green (unripe) bananas, plantains, potatoes, cooked and cooled parboiled rice and legumes, and cooked and cooled potatoes. Also available is potato starch, green banana flour and plantain flour, which can be mixed into water or almond milk (or nut milk of choice), and blended into smoothies. One tablespoon of potato starch has 8 grams of resistant starch. The goal is to get 15 to 30 grams of resistant starch per day. If your client does not currently consume enough resistant starch, advise them to increase amounts very slowly—no more than ¼ teaspoon per day—as unwanted side effects of gas and bloating are all too common when intake is too high. The bacteria in the colon need time to adjust to the increased amount of resistant starch. If discomfort is experienced, a safe treatment for gas and bloating is activated charcoal, which is available over the counter. Potatoes, cooked and cooled, 3 oz. Rice, cooked and cooled, 3 oz. A high-fiber diet is known for its impact on cardiovascular health, satiety and weight control, and decreased risk of diabetes and certain forms of cancer. We now know that certain fibers, in particular resistant starch, are preferential for feeding the good bacteria in our large intestine, which can decrease inflammatory load on the body. Educate your clients about the food sources of resistant starch and how they can increase intake very slowly in order to decrease any unwanted side effects. Tiffani Bachus, R.D.N., and Erin Macdonald, R.D.N., are the co-founders of U Rock Girl!